Hi Everyone! I hope you guys had a great weekend. Austin and I had so much fun on our much needed date night Saturday. There was a wedding going on at the restaurant where we were having dinner and they had the.best.band I’ve ever heard…not kidding. And there were thousands of twinkle lights! The ambiance was really something. So much so that we stayed for a while, listened to the music (and the toasts, lol) and got friendly with the staff at the restaurant. Just when I thought it couldn’t get any better, our waitress brought us glasses of champagne on the house along with the name of the band and their contact info. Apparently in my wine haze, I really needed this information. You just never know when you may need the perfect 10 piece band though, right?! 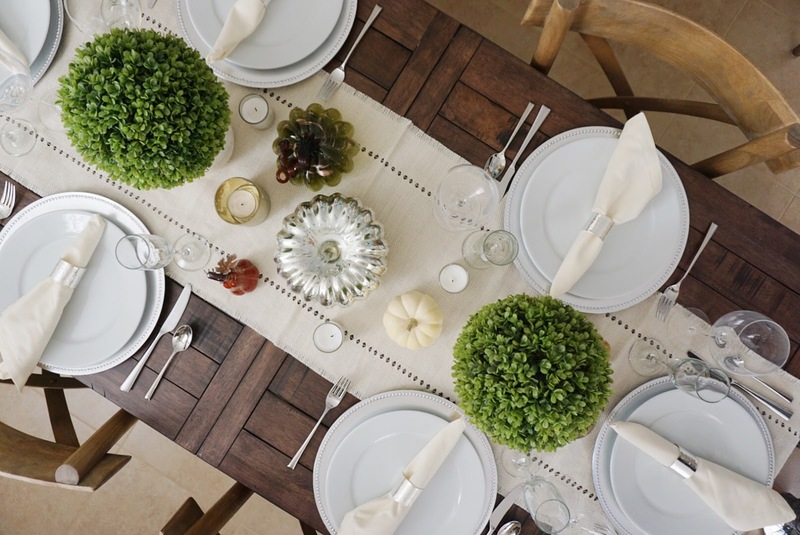 Speaking of parties, let’s talk Thanksgiving tables. Considering I’m pushing to have our tree up before turkey day, I decided this year to keep a very neutral table. Neutral meaning not the amber, orange and brown hues that typically fall in line with Thanksgiving. 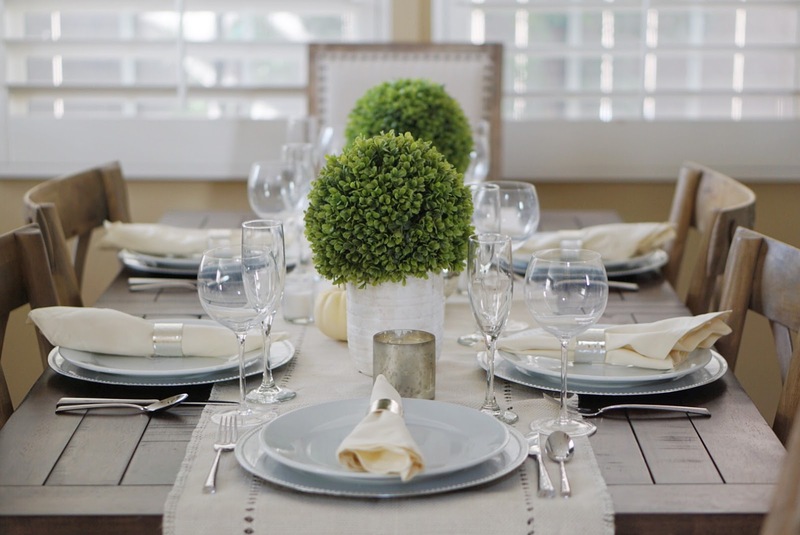 Deciding to go with creams, whites, silver and pops of green was my jam and I loved how it turned out! So much so, that you may see the same table setup for Christmas! 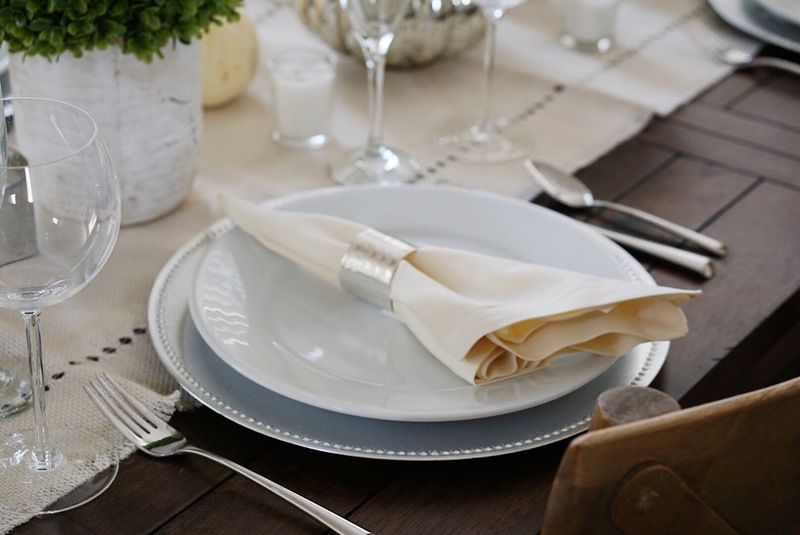 We’re hosting this year and as much as I love the fact that we have heirloom silver from my Mom and beautiful china that was a gift from Austin’s grandparents, I wanted to keep it more laid back and use our everyday flatware and dishes. 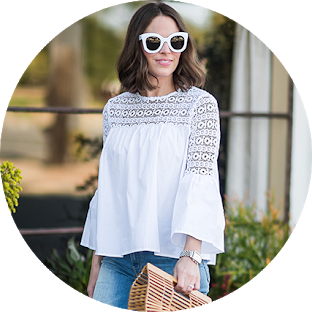 Similar to bedding, I’ve become a HUGE fan of all white dishware. The Apilco collection from Williams Sonoma is my absolute favorite. My Mom get’s us a serving piece every year for Christmas and I appreciate the clean simplicity of the collection. 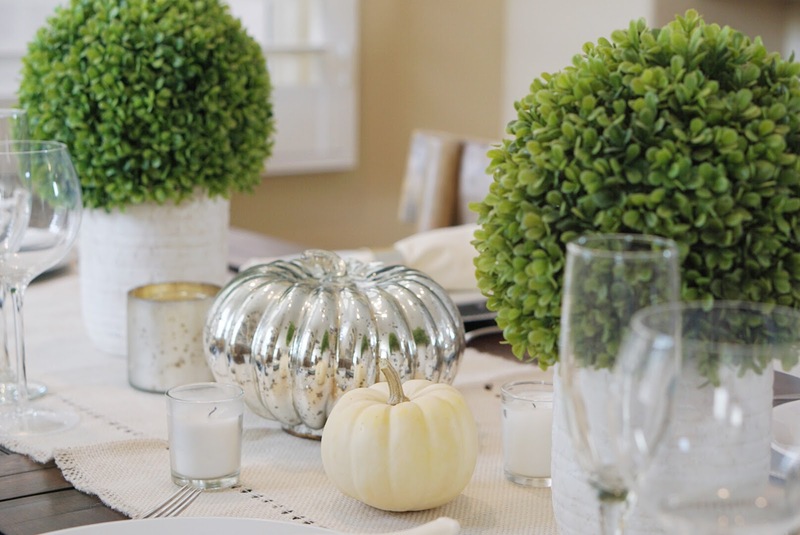 In order to make it a little more festive, I added a few mercury glass pumpkins, topiary’s and purchased a neutral runner and napkins from World Market to match. Adding some fancy (and inexpensive) chargers like these always jazzes up a table too! In the end though, what makes a great Thanksgiving is not the decor, but the people and the food. And of course, the wine which is a must at all family gatherings. 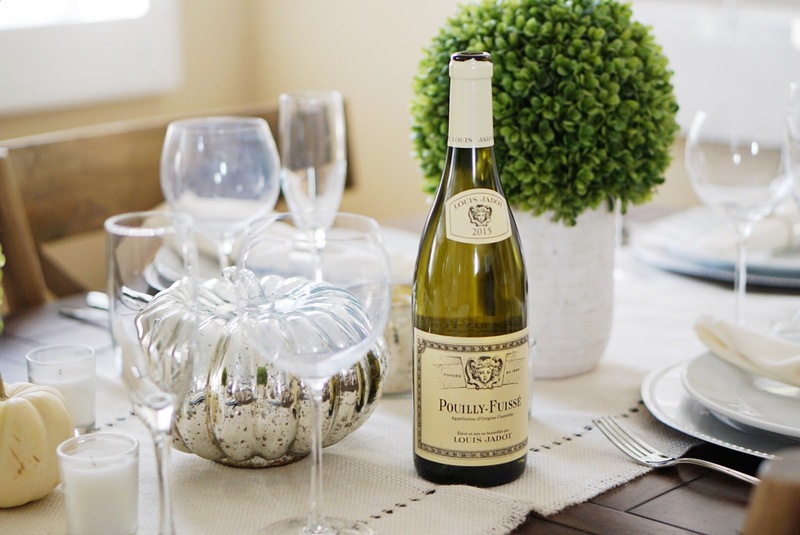 I partnered with Louis Jadot and discovered such a love for their Pouilly-Fuisse. At around $20 per bottle, this would be an ideal wine to serve your guests or bring as a hostess gift! 1. How long will a bottle wine last after its open? If stored in the fridge with a tight seal a bottle of red or white wine can last up to 3-5 days. Sparking wine has a shorter shelf life and will only last about 1-3 days in the fridge. When wine is stored at colder temperatures the chemical process slows down, including the process of oxidation. Remember to store the open bottles up right and don’t decant the wine if you think you might not finish the whole bottle. 2. What temperature should I serve my wine at? Sparkling Wine-Ice Cold. Never put champagne in the freezer to chill it down. The best way is to use an ice bucket with water, it will be the quickest and best way to guarantee the quality of the wine. Red-Slightly Cool. Put the wine in the fridge and take it out about an hour before you plan to serve it. 3. 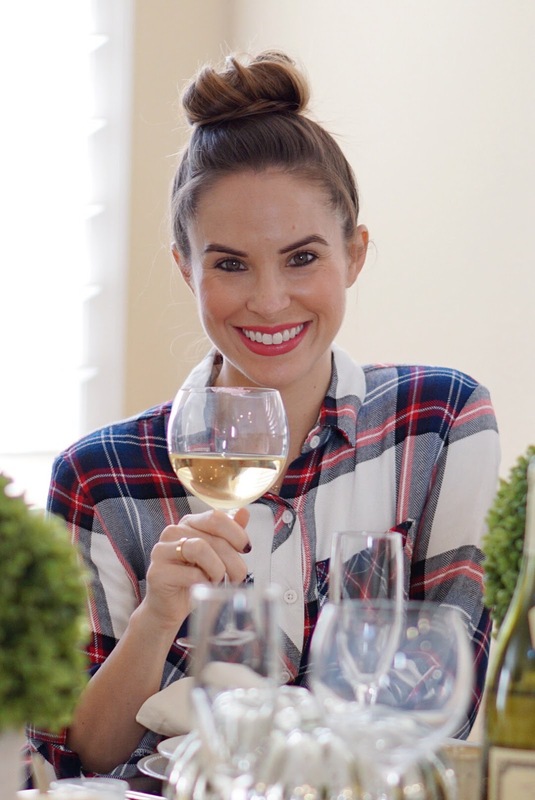 What varietal of wine should I serve with my Thanksgiving meal? 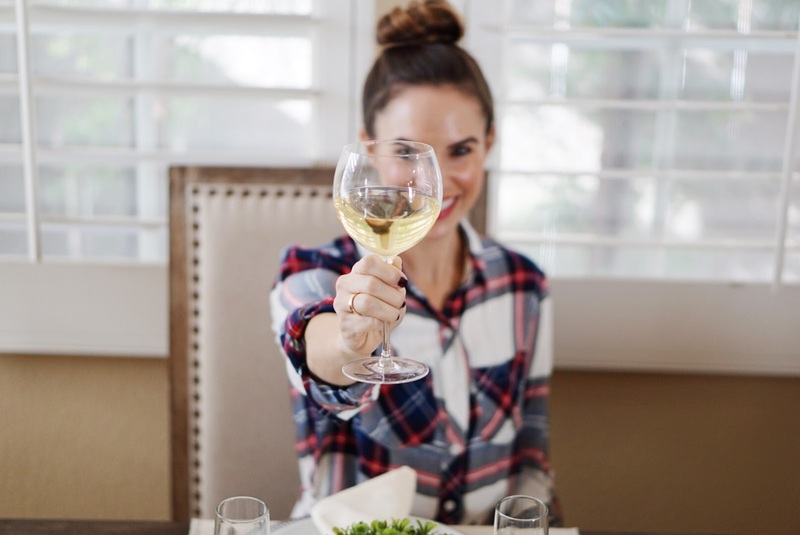 Start the celebration off right with a fun sparkling wine then you can move onto an Oregon Pinot Noir and/or a California Chardonnay, both are fail proof options to have on the dinner table. You don’t have to spend a fortune!, the $15-$20 price range will allow a vast selection of lovely wines to serve your guests. More expensive doesn’t always yield higher quality! In partnership with Louis Jadot and Wine Vibe San Diego, all opinions are my own. In the SoCal area and want to book your own party with Wine Vibe San Diego? Use code: karalovescoco to get 20% off of your first event.